Tea Happiness- A blog on tea drinking, tea history, tea industry interviews, NYC tea experiences! : Yin and Yang of Tea? Yin and Yang of Tea? A tea lover's confession: so, I love green tea but it's not often something I 'crave'. I often find myself happily daydreaming about most other types thought the day (you all do this too, right? ), but rarely green or white. I never thought much about this until tea class this week. We talked a little about Traditional Chinese Medicine (TCM), and yin/yang before diving deeper into the history of Chinese tea. The instructor said tea (particularly green and white tea) is generally yin, which means it it has 'cold' properties. This stuck with me after the lesson, and I wanted to learn a little more about what it could mean. TCM is about balance. If your body isn't in harmony it can lead to sickness. 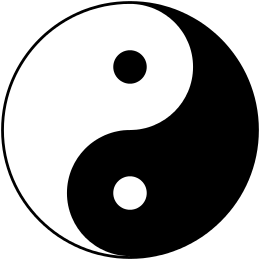 This balance is a play between yin and yang. As I mentioned, yin is comprised of cold, but also darkness, and things related with the moon and the feminine. It seems a little odd to me to group these things together, but there you have it. I'm not going to argue with ancient wisdom. Yang is associated with heat, fire, and masculinity. The relationship between yin and yang is often described in terms of sunlight playing over a mountain and a valley. Yin (literally the 'shady place' or 'north slope') is the dark area occluded by the mountain's bulk, while yang (literally the 'sunny place' or 'south slope') is the brightly lit portion. As the sun moves across the sky, yin and yang gradually trade places with each other, revealing what was obscured and obscuring what was revealed. As I mentioned, tea is considered yin in general, but puerh, roasted oolong, and black teas are more yang. The greener/less processed a tea, the more yin it's supposed to be. I started thinking about this and how I could use it on a practical level. I'm always the person that's freezing. In my office I've always been the one to complain about the air conditining being too strong. In fact I gave up the fight and keep a little heater under my desk to fight the sub-zero temperatures. Since green teas are 'cooling' I wonder if that's why my body doesn't often crave them. I'm often chilly enough as it is. But generally it seems that green teas are recommended for warmer months and black/roasted/puerh is for winter temperatures for their cooling/warming properties. Matcha has been trendy for ages now, and everyone from supermodels to hipsters drink it. In tea class we learned that matcha has a very strong yin, because you are drinking the entire leaf. I love a good bowl of matcha to get me through a long day but again it's not a tea that lurks in the recesses of my brain, always whispering to be steeped. Since tea is so yin, my instructor wasn't sure how she felt about cold-brewing. Tea is already cooling, so is it necessary to ice it? I say, if you like it and it refreshes you, why not? Perhaps Chinese medicine practitioners wouldn't recommend it, but that doesn't mean it shouldn't be done. So after learning a few rudimentary facts about TCM and tea, my motto is still drink the tea you want to drink. Enjoy the tea you like, any way you like it. But I do find the yin and yang of tea interesting and would love to study it further if the opportunity ever came up. It would also be interesting to build a food and tea pairing menu based on traditional Chinese medicine principles instead of just flavors to see if there is an effect. I'll have to keep that idea in mind. If anyone has read any interesting books or articles on TCM and how it relates to tea, please let me know. I'd love to check them out. Hi Sara, what's your view of people who like red teas i.e. their physical and emotional characteristics? Hi, I don't think there is a particular type of person that likes red teas. All different people like different things. What do you think? Sara and Blu Dolphin, I loved this article, it was just what I was looking for. 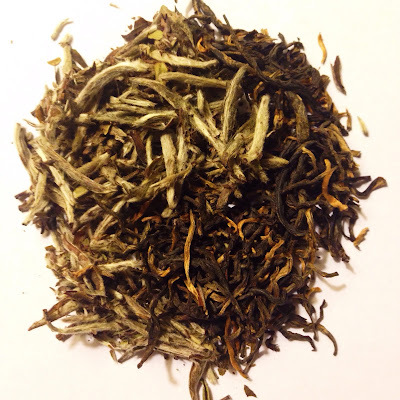 I am a new pu-erh lover, but I also am drawn to and love red tea!! Certainly, something to think about!! I believe our bodies are drawn to what we need, we just need to listen? Thanks for the comment, Mary! So glad you enjoyed the article. I agree, it's important to listen to our bodies to see what we need.